Martin Martel is an exile in trouble with the gods. What would have made The Hammer of Darkness better? A more concise story that has pace and seams to go somewhere, I have not finished it as I found it irritating and so am sending it back. 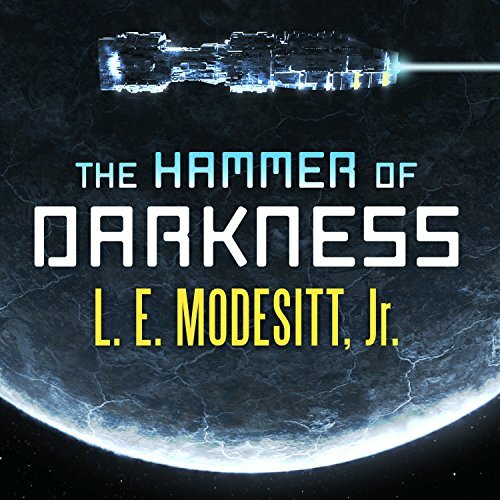 Has The Hammer of Darkness put you off other books in this genre? No, I like both SF and fantasy. The narrator drones on and sounds very depressed. I thought it was more of a science fiction, whereas it seams to be more of a fantasy................or something. Great narriation by Kyle McCarley. If you're looking for more audio books to listen too that can hold up to the quality and standard of stories that are set by the imager series or even the recluse series then you should look somewhere else because you will not find it here.